Around February 2012, i found myself in a deep spiritual pit and i knew inside i felt stuck on many levels. I felt the need of a High level guidance necessary without delay. So i decided to go for an Attunement session. 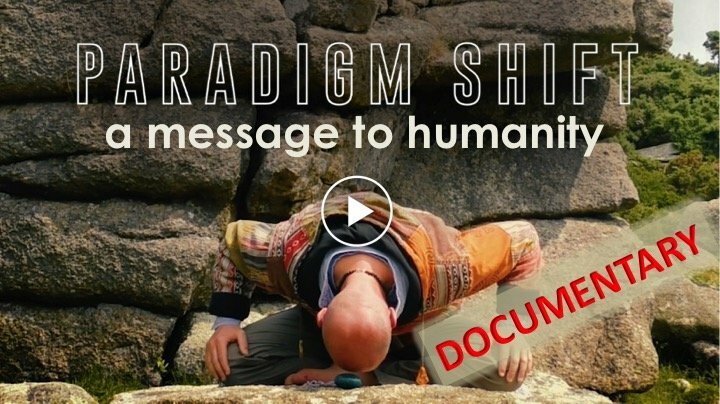 A few days later, while searching the internet for a new approach, i stumbled on the "5 Gateways" movie from Openhand & it truly moved my soul to the core. So many aspects presented felt like bits of my own Journey - how beautifully synchronistic was that? 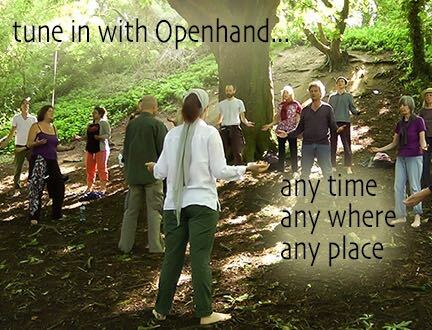 I felt so interested & revitalized that i can still recall my first email to Openhand in which i was expressing the willingness to eventually be part of the « level 3 « retreat - not knowing one second that it was not gonna work one bit ha ha ha. 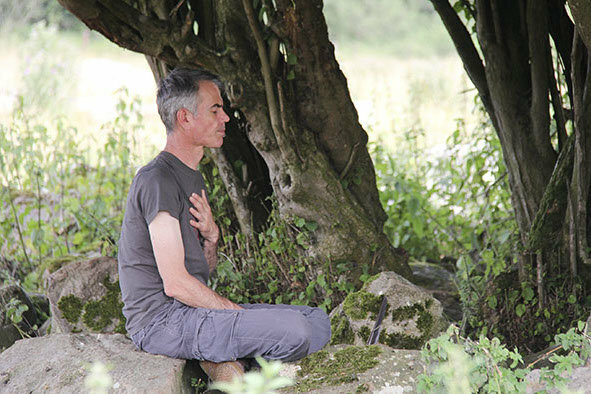 So i started with the guided meditations & videos and that made already a huge difference energetically for the next weeks & months, before i could finally attend the ‘ Divinicus ‘ first workshop held in Glastonbury in September 2014. 2 ) Why did you become an Openhand facilitator & why is this different from other training programs ? I did not hesitate when somewhere in 2015 Open asked me if i would be interested to follow the facilitator training program. It felt exactly as the right Journey to embark on. Up to that point, i had studied a lot on my own like an autodidact. With the help of very integrative Yogic sources followed during the 90’s, i began to feel a passion towards psychology & invisible worlds, multi- dimensional experiences , ancient traditions & spiritual lineages, health evolutionary tips, Humanity’s true history, the art of transcendence, Music & healing sounds etc…It is different than any other training i had followed because it is mainly based on the Soul evolution + it gathers the best from many Universal Wisdom approaches put together. It also encompasses a powerful life approach that is unique, complete, uplifting & can serve as a powerful Soulful compass for life. I never felt attracted by formal / classic structures offering psychology training or anything of that realm like University programs & the like. 3) How would you describe your work and what are some of the challenges you have encountered and overcome ? My work evolves by constant steps & deeper explorations all the time - in daily life situations - with others and life challenges that naturally take place . 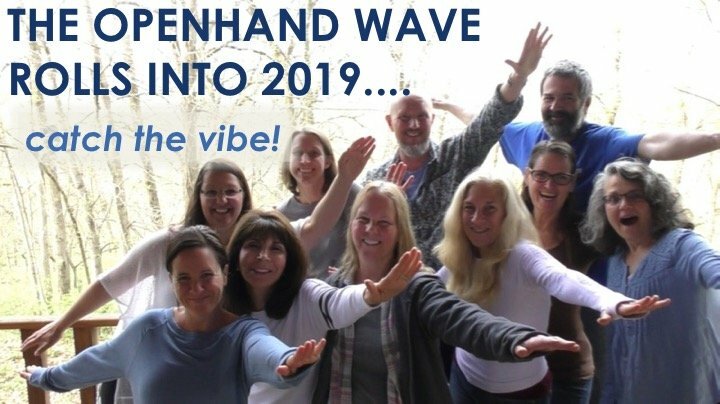 It includes: Opening myself to new energetic aligned & inspiring ideas to add to the facilitation sessions + the best authentic ways of soulful expression during them. Challenges are often seen / felt as important steps on the Soul Path - even more important than when everything seems smooth and sound. They will activate dormant / unconscious aspects of myself - to be honored and worked through.My work is all about : coming from the energy - without setting any intentions/ agendas at all before a session. I let it unfold as its meant to and Higher guidance always but always will show the way to proceed for the best evolutive interest of everybody. I will be given signs & synchronicities & how to use them as key points & reflections. The Biggest challenges i had to face & overcome since i got incarnated in this life: Lack of confidence in my gifts & abilities; facing regular judgments /criticism due to my unique Star Soul configuration ( feeling outcast ); my childhood in East Africa & not being from this world and not relating to the * Fitting In * conditioning from society. 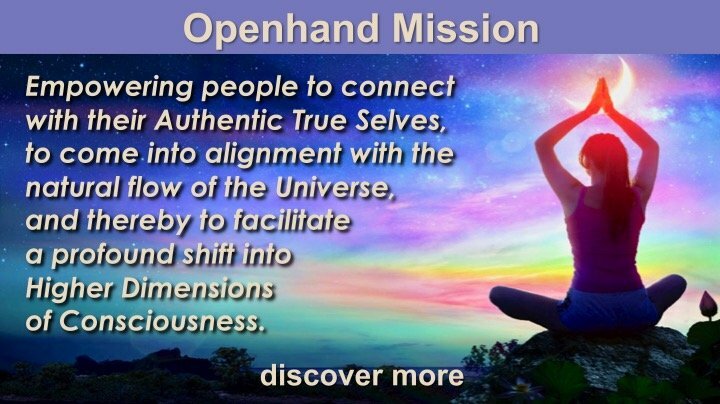 4) What makes you unique as an Openhand facilitator ? I can understand anybody’s situation - no matter what is going on & open a safe energetic field with the other ( A Bridge of Higher understanding ). I can easily access the blind spots / root pains / psychological distortions/emotions blockages and explore them with catalytic precision ,vulnerability , humour and the rightful questions. My catalyst nature will always indicate & benevolently work with whatever is presented - at the clients rhythm. I will resonate a unique blend of different frequencies coming from a specific team of Pleidians or North American Natives i feel a deep connection with. Having lived on 3 continents so far, i have the abilitity to work with a big variety of cultural backgrounds / life configurations. I also understand the nature of karma and its impact in our lives ( both individually & collectively ). I constantly live & work with a deep connection to signs & synchronicity - The oldest metaphoric language of our Universe. I don’t easily give up - and will naturally seek to increase & expand my facilitation skills -regardless of the depth of the issue presented. 5) Tell us about an event in your life that has been deeply inspirational ? There are many crazy / unusual / out of the box events that i could pick up but One stands above all the others: The Tsunami water wave from December 26 December 2004 soulful experience. What to share about it that felt as a fantastic life changing & inspiring experience ? It was absolutely not expected but received as a very crazy experience to fully embrace. I could not control anything coming from within or happening outside - but let go of any eventual resistences to the Higher flow of life. It took 1/4 of a second to feel in a Higher empowered sense of Presence being suddenly embodied. Unbelievable state of being - beyond any imagined scenarios. I never felt in danger during that day nor did i fear any eventual problem with dying, if it was meant to happen . 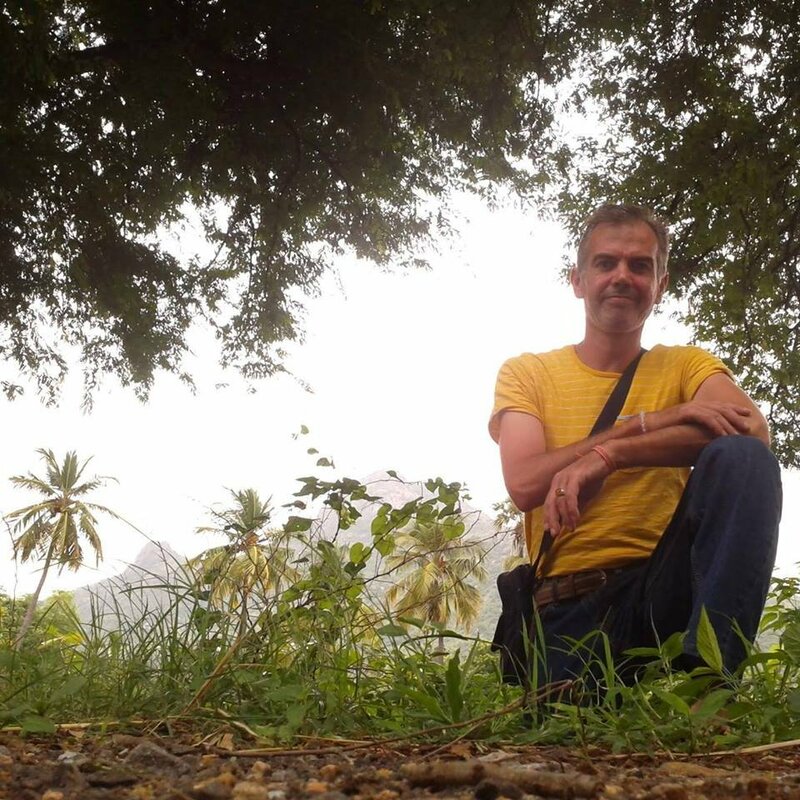 It felt like i was supposed to be there and my role was to help others, not even to care about myself - since the sense of ‘Myself' had completely disappeared! It drastically changed my perceptions of life and the spiritual path . It brought as well a lot of old patterns to deal with. I was shown that tomorrow might well be totally different than today - be prepared for the unexpected. A very weird sense of feeling depressed creeped in 3,4 days after the event. I had never witnessed such a sense of Oneness among the 16,000 people present within that area. 6) How do you like expressing yourself ? * Swimming: one of most complete sport i know & beautiful soulful vehicle of expression. I discovered that swimming has a long list of healthy advantages: It helps with : physicial sensitivity, creativity, opening new possibilities, overall health, supports other passions & motivations, new perspectives about life , softening the nervous system, helps meditative states, recovery from physical accidents, chronic diseases or tiredness, helps clear depressive root causes. Its also very fun and relaxing. *Music , dancing & singing : love those 3 ways by which i can express other aspects of soul. I also often chant Us Native sacred chants that come from nowhere …its natural & has healing properties . 7) Whats your favorite film and why ? As a movie lover, its a very tough question to answer . Among a long list of movies i truly feel inspired by, the movie ‘ LION ‘ came in as one of the best movies i have watched within the last 10 years or so. It has a powerful set of messages. One of those themes represented in that true story is: ‘ Never give up ‘ + ‘ home is not necessarily a place where to live physically ‘ + ‘ Destiny has for many deep unexpected twists'. I deeply felt moved by that movie and its great characters / actors and especially because its a deep soul moving true story. How can anyone loose its way home( physical home or else ) at around age 4 or 5 and find it back 20 years later left me speechless and with a sense of admiration. Choosing that true story among many out there and bringing it to the screens was a powerful choice from the Producer. 8) If you only had one day left to live, how would it be? Difficult question to answer…but i feel i would dive into one experience i had never the chance to live and give it 100 %. I would ask few of the closest soul friends to come with so we could live that last day as one of the most meaningful one we ever had. I see something like going down the Colorado river on a Big Canoe. 9) Is there anything else u would like to share with everyone who is reading this now ? Yes, i would love to gently share a few guidelines for a more fulfilling Soul Life. a) Never give up especially if some situations in life feel too hard to deal with. Ask for some qualified help ( a Facilitator or Soul Coach ) - it might create the best opportunity for deep evolution & unexpected shifts. b) The Soul within you always knows whats best for your path , even if that means being in very odd, unexpected or unthinkable experiences. c) If possible, avoid comprising the Soul path for a life that is conditioned by the small version of Yourself. d) Finding one or many passions helps greatly to feel supported in difficult times and has the power to inspire us beyond imagination. *** It’s very easy to talk to you. It feels more like talking to a friend rather than a “formal” session Facilitator . unravel . Anastasia , Sweden . ability to help me shift some of my old limiting beliefs . Tarek , Belgium . the process advances well. Alexi, Belgium. *** In deep Gratitude for your helpful support & open heart - now I feel absolutely excited going back to Australia. Rodaan , Uk . *** Thanks you so much for having supported me during some of the deepest challenges i had to face. Swagata, India . 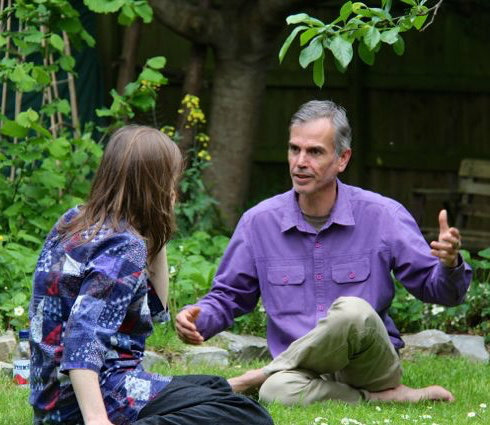 You can read all about Jean's facilitator service and get facilitation from him here. A warm thanks to Aspasia, Openhand's community coordinator, for collating this Facilitator Spotlight. Jean - the "Blue Hopi" cosmic adventurer! 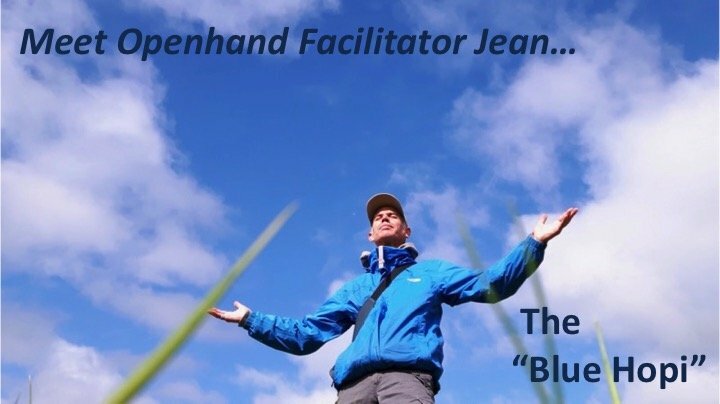 Hi Jean - I fondly remember the first time we met on an Openhand workshop, years ago in Avalon. What moved my heart to the core, was when you told the group of your story, when you'd gotten caught up in the Indonesian Tsunami of 2004. It brought tears to my eyes, and is the most incredible testament of what can happen at a soul level when we truly let go in times of life threatening crisis. It is episodes like these that forge the soul in the crucible of life. I'd love for you to share more of that story with us here, when you have some time. I've always known you as a 'cosmic adventurer' - a kindred soul whose not at all afraid of being 'out there'. With wonderful Pleiadian connections and others from who know's where! Keep following your "Blue Hopi" wisdom Jean, and everyone you serve, will surely be greatly helped by the experience. 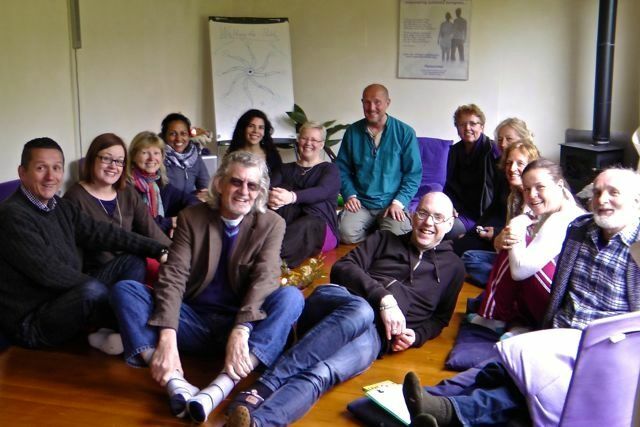 Divinicus Facilitator in June - yes! Your experience of life and spiritual journey is so rich and varied. So authentic and truthful. So heart-full and willful. I feel your wisdom, modesty and magic. The group gathering at the Divinicus retreat in Wales in June are VERY blessed!! Just wanted to say it’s nice to see your presentation here. Our sharings have meant a lot to me. I do so wish I could join the gathering in June and get to work with you in person, but as you know, my sadhana is with the little ones for the moment. I have, however, thought a lot about the pigeons you told me about, and I will tell you more about my experiences with them when I catch the time. Right now I have two of them living on the roof right above my apartment, kindly reminding me of their ’familiar’ presence ?. I've just noticed your spotlight here! It's nice to find out more about you. One thing that definitely shines through your answers is the strong calling and drive to support others. I've always highly valued that in you. Keep shining, my friend! As i was going through a lot of the shift symptoms lately as many of us are ( will post some of them later ) , i hadn't been able to warmly thank everybody for the precious support i have been given . Anastasia : It has been a great heart felt pleasure to exchange & share a multitude of aspects of the Path together . I totally cherish that lovely connection & its great to hear about the 2 Pigeons living on your roof - number 2 might suggests that u might be working with your twin flame connection / or an invitation for u to bridge lower & Higher mind . I can confirm for u that the Pleiadians are watching over your evolutive process through the Presence of pigeons 🐋🐬 ( thank you Open for indicating me how they express their presence through Nature's life expressions like those birds / beings ).